In the year 2002, Egypt’s internet penetration exceeded 1%, and although this was over 10 years ago, only 32% of women today have internet access. Multinational technology company Intel released a report in 2012 entitled: “Women and the Web: Bridging the Internet gap and creating new global opportunities in low and middle-income countries”, where it analyzed and studied the relationship between women and economy in four countries: Egypt, Uganda, India and Mexico – with rather interesting results. For example: 96% (!) of internet-using female respondents said that access to the internet should be a fundamental right. Yet before looking at the outcomes, one must understand that about 42% of Egypt’s women are illiterate, and only 1.1% of the internet’s content is written in Arabic. In Egypt, the women’s and girls’ internet penetration rates at 32%, which is significantly higher than most countries in the Middle East and North Africa, with a regional average of 18%. The lowest penetration in the region can be found in Iraq (4%) and the highest is in the West Bank / Palestine (45%). One in five women in India and Egypt say that the internet is not “appropriate” for them, as it would not be useful for them or their families would not approve. The reasons for that are not the costs, but gender-based barriers, and the belief that women lack the skill or interest in technology – at least in some places and regions. Partly, this is true: 41% of female non-users said they were not interested to use the internet, and 25% stated that they did not need it. The report related this to lack of awareness, as 20% do not access the internet more often because they do not have someone to show them how to and 14% are not comfortable with the technology. The report also focused on the reasons causing overall gender inequality in Egypt, where women face disparities in education, economic development and others. The World Economic Forum Gender Gap Index 2012 evaluated the role and rights of women in the Egyptian society and placed Egypt on place #126 out of 135 countries. This is also connected to the fact that 57% of the country’s population are living in rural areas, where women have a lower chance of internet access. Only 6% of the survey’s Egyptian respondents have been online for six years, and the survey shows that the recent political circumstances are the ones that actually encouraged women to get online, as most of them have been online since a year or less. 78% of Egyptian Internet Users characterized the internet as “liberating” and 68% said it gave them greater freedom, especially as it helps them follow the current political activities in Egypt and abroad. Yet, would more women-friendly content drive women online? 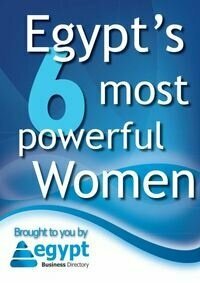 Egyptian women tended to think so. In Egypt, high-income women who did not use the Internet called for “new websites only for women” or “dedicated to women,” or women-only chatting. However, the study shows that the longer a woman has been engaging online, the more likely she is to engage in activities that yield tangible benefits. So the direct correlation between personal growth and online activity has been proven. 84% of Egyptian female respondents declared that they used the internet to improve their education / studies, whereas 24% of women participate in labor force and 25% used the internet to search for a job. 38% agreed that it provided them with greater opportunities as it expanded their network, but only 5% earned additional income through the internet. Most female users access the internet via a computer because it is the easiest to use and a fixed-broadband internet connection in Egypt costs about 4% of the Gross National Income per capita, which is cheap compared to Uganda – for example -, where the cost reaches 39%.